The organisation behind the Wireless USB standard has announced the first six products that are to receive its stamp of approval. The move is the first concrete step in the arrival of the new wireless standard, which will enable cable-free connections between PC peripherals. Certification by the USB Implementers Forum (USB-IF) means that Wireless USB devices from different manufacturers will work together; much the same way as wireless networking kit works together using standards like 802.11g. Wireless USB is backward compatible with wired USB, allows users to connect up to 127 devices and delivers a bandwidth of up to 480Mbps at 3 metres and 110Mbps at 10 metres. Six products from companies including Dell , D-Link and Lenovo have so far been certified, meaning the process is now fully underway. D-Link has announced an adapter/hub combo, though we're currently waiting to hear from them whether it will be launched in the UK. "This is the beginning of a very exciting time for Certified Wireless USB, as the vision of a world without wires is realised" said Jeff Ravencraft, president of the USB-IF. "It is a great endorsement to have consumer recognised PC and CE companies be the first to incorporate Certified Wireless USB into new products. This makes a huge statement that Certified Wireless USB is here." 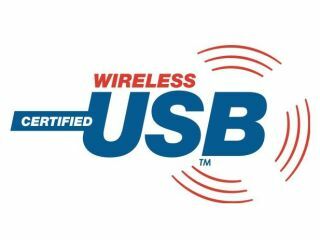 Customers are being encouraged to look for the Certified Wireless USB logo. Intel and NEC are some of the companies that have committed to manufacturing silicon powering the new short-range technology which is based on Ultra Wideband (UWB) radio signals. We'll be covering a lot more about UK-release Wireless USB kit over the coming weeks - so watch this space.